I am sharing my self represent experience at Mahkamah Rayuan Putrajaya. Welcome all feedback and advice. My application to set aside Creditor Petition was rejected by Penolong Kanan Pendaftar. I made an appeal to Judge in Chamber whom rejected my appeal as well. Now I am bringing the case to next level; Mahkaman Rayuan Putrajaya. - Paid RM1000 for deposit for this appeal. - Filed 7 copies of Notis Rayuan at fees of RM600. I shall need assistance to complete the preparation of Rekod Rayuan within 8 weeks from decision date. Was it easy to do filing at Mahkamah Rayuan? Best Wishes in yr Fight against Oppressive Banks. learned Senior Assistant Registrar ('SAFl’) in granting an Receiving Order and Adjudicating Order (‘ROAO‘) against the appellant, one Uthxxx Affxx. 3. Before me, the appellant who appears in person, concedes that his appeal is premised solely on one ground. That single one ground is that he has not committed an act of bankruptcy on which the learned SAR can premise the ROAO as he was not served with a valid bankruptcy notice. It is his argument that the bankruptcy notice that was purportedly served on him by way of substituted service was invalid as the bankruptcy notice had expired on x. This is because the said bankruptcy notice, issued on x, had earlier expired on x. By an Order for renewal. the same was extended for a period of 3 months, that is to say, extended to x.
ATAS PERMOHONAN Pemiutang Penghakiman dalam tindakan ini DAN SETELAH MEMBACA Saman Dalam Kamar (Ex-Parte) bertarikh x dan Afidavit x yang diikrarkan pada x dan Afidavit Tanpa Serahan x yang diikrarkan pada x dan difailkan di sini DAN kehadiran peguamcara dikecualikan ADALAH DlPERINTAHKAN bahawa Petisyen Pemiutang disampaikan kepada Pemiutang Penghakiman secara penyampaian ganti iaitu dengan menampalkan sesalinan Petisyen Pemiutang bersama-sama dengan sesalinan Perintah untuk penyampaian ganti di premis Penghutang Penghakiman di x dan setiap salinan tersebut di atas Papan Notis Mahkamah Tinggi x dan dengan mengiklankan satu Notis dalam satu (1) naskah mana-mana suratkhabar tempatan dan penampalan-penampalan dan pengiklanan tersebut hendaklah dianggap Penyampaian yang sempurna dan cukup akan Petisyen Pemiutang tersebut ke atas Penghutang Penghakiman selepas tujuh (7) hari dari tarikh penampalan-penampalan atau pengiklanan terakhir. DAN ADALAH JUGA DIPERINTAHKAN bahawa kos permohonan ini adalah dalam kausa. (c) to effect posting of the same at the appellant’s last known address. There was a deeming clause in the Order for substituted service in that service would be deemed valid 7 days after the last act of posting or advertisement, whichever is the later (‘deeming clause’). 6. The act of advertising was the first to be effected when the bankruptcy notice was advertised on x in the x newspaper. This act was followed by the posting at the notice board of the x High Court and at the appellant’s last known address. Both these postings were carried out on the same day, that is to say, on x. 7. The question arises as to when the service by posting deemed to have been validly effected, if one were to apply the 7-day rule under the deeming clause of the Order? (1) Any period of time fixed by these Rules or by any judgment, order or direction for doing any act shall be reckoned in accordance with the following provisions of this rule. (2) Where an act is required to be done within a specified period after or from a specified date, the period begins immediately after that date. (3) Where an act is required to be done within or not less than a specified period before a specified date, the period ends immediately before that date. (4) Where an act is required to be done within a specified number of clear days before or after a specified date, at least that number of days must intervene between the day on which the act is done and that date. (5) Where, apart from this paragraph, the period in question, being a period of seven days or less, would include the day before the weekly holiday or public holiday, that day shall be excluded. (i) x (Monday): the date of posting at the premises and the notice board of the court. (ix) x (Tuesday): 7th day. In the absence of any rule regulating any proceeding under the Act or these Rules, the Rules of Court 2012 shall apply, mutatis mutandis. In the State of x I take judicial notice of the fact that Fridays and Saturdays are weekly public holidays. Hence applying Order 3 r 2(5) I agree with the appellant that the first day of the 7-day period is Tuesday x. However, in my judgment - and I disagree with the appellant -the day to be excluded is Thursday x (and not Friday x as contended by the appellant) for this is ‘the day before the weekly holiday’. This ‘day’ is to be excluded by reason of the words ‘that day shall be excluded’. But I agree with the appellant that the 7th (last) day of the 7-day period falls on Tuesday x; and this means that the effective date of service of the bankruptcy notice fell on x. It follows then that it is the appellant’s submission that by virtue of the deeming clause in the substituted service Order, he was deemed to have been served with the bankruptcy notice only on x. It is his contention that by that time (x) the bankruptcy notice had already expired by 2 days; and that since the bankruptcy notice had expired, he had not been served with a valid bankruptcy notice. He takes the position that since the bankruptcy notice was ‘invalid’, he had no legal obligation to comply with the bankruptcy notice. If he had no legal obligation to comply with the bankruptcy, the SAR, legally, could not have adjudged him a bankrupt. Time of day of service. 66. Service shall be effected before the hour of half past three in the afternoon, except on days preceding weekly holidays when it shall be effected before the hour of 12 noon. Service effected after half past three in the afternoon on any week-day except the day preceding a weekly holiday shall, for the purpose of computing any period of time subsequent to such service, be deemed to have been effected on the following day. Service effected after 12 noon, on a day preceding a weekly holiday shall for the like purpose be deemed to have been effected on the day following the weekly holiday. With respect to learned counsel, this rule 66 is irrelevant to the issue at hand. 11. In the instant case the facts reveal that all the 3 acts required under the Order for substituted service were in fact effected during the validity of the bankruptcy notice. It was only the expiry day (x) of the 7-day period that fell outside the validity period. The appellant argues that this fact is fatal to the bank's application for the AORO. 12. The appellant, in arguing that the service was bad in law by reason of the fact that on x the bankruptcy notice had already expired, was not able to furnish me with any authority to support his argument. 13. As I see it, the issue before me now is this. Bearing in mind that the postings were effected during the validity of the bankruptcy notice (and this is not disputed), does the mere fact that the ‘deemed effective date’ of the service fell outside the validity period of the bankruptcy notice (that is, after x), as a matter of law, rendered the service of the bankruptcy notice bad? In my judgment, I do not think so. In my view, what is pertinent is the time the postings were effected (that is, on x); and the question to be asked is this: at the time the postings were effected, were the bankruptcy notice still valid? If the answer is in the affirmative, then, in my judgment, the service is, as a matter of law, good service. In the present case, as it is an undisputed fact that on x, when the postings were effected, the bankruptcy notice was still valid, I, therefore, rule that the service is good service; and it is immaterial that the mere fact that the ‘deemed effective date’ of the service fell outside the validity period of the bankruptcy notice. 14. I am fortified in my view by the case of Kamaruddin b. Mohamed v United Motor Works (M) Sdn. Bhd  1 MLJ 126. The facts of the case are these. The time for the service of the bankruptcy notice (issued on 23rd July 1976) was extended to the 10th October. The Order for substituted service required the posting of the bankruptcy notice at the notice board of the High Court, and at the judgment debtor’s last known address; and the bankruptcy notice to be advertised in a local newspaper. Pursuant to the said Order, the posting at the High Court notice board and the advertisement was made before 10th October i.e. on 20th September and 4th October, respectively. However, the posting at the Judgment Debtor’s premises was only effected 10 days after the expiry of the extension period of 10th October i.e. on 20th October. There were two parts of the order, first, an extension of time of service of the bankruptcy notice for one month to be effected on or before October 10; second, the mode of substituted service. It is in evidence that the order to post on the Notice Board at the High Court at Kuala Lumpur and to advertise in the New Straits Times and Berita Harian had been complied with within the time extended except the posting on the judgment debtor's premises. The question that calls for determination is whether the failure to effect the posting within the time prescribed in respect of one of the three modes ordered had rendered the whole of the substituted service void and of no effect. It is abundantly clear that the bankruptcy notice was brought to the knowledge of the appellant as is revealed from the appellant's own admission in the affidavit affirmed on October 6, 1976. This fact confirmed that there was effective service upon the appellant. A breach of any further direction or term in the order designed to achieve the same could not in the circumstances be said to have occasioned substantial failure of justice. Such a breach could not therefore be regarded as an illegality but a mere irregularity which was curable. Fundamentally the object of the substituted service was to bring the bankruptcy notice to the knowledge of the appellant and if that was achieved the service must be deemed to be good and sufficient. 15. On the facts of the present case, I am of the view that l have a stronger reason to hold the service of the bankruptcy notice in the instant case was valid. This is because the only complaint is the alleged delay in effecting service of the bankruptcy notice pursuant to an Order for substituted service; but the delay complained of are premised on acts of postings that were effected during the validity period of the bankruptcy notice. There is no allegation that x was unaware of the bankruptcy notice. I take note that while the fundamental object of the substituted service i.e. to bring the bankruptcy notice to x has been achieved, x on the other hand has failed to show how the purported delay has caused a miscarriage of justice. As such, there is no basis for me to allow this appeal. Accordingly, I dismiss this appeal with agreed costs of RMx. (Messrs Gxx & Partners) for the respondent. Avengers said that COJ did a decent writing. As for me i appreciated her prompt action which could help speeding up my appeal case. bravo to her! Wah low yeh.. lu betul 3-4am zombie.. no teh tarik.. several kups of koffe oso cannot help. 1. There is no doubt a NK has been served but past the validity date thus making it a "defective" service. Does it constitute " a mere irregularity which was curable. "? If it is a minor defect, then what are the bkcy laws for? Why the need for the Lawyers to study for donkey ears and goes thru chambering services like slaves? There is a serious breach of services between client and lawyal services rendered. The CoJ take upon itself as representative of law, then, what does the bkcy laws says? And what are bkcy laws for? 3. bankruptcy notice was brought to the knowledge of the appellant as is revealed from the appellant's own admission in the affidavit affirmed on October 6, 1976. ??? I/we did not see such an "admission". Was this inserted into the appellant affidavit as "an afterthought" ? Putting words into one's mouth is not a professional approach (just as some lawyers do that at will). This just create additional contentious issue with our Judicial Systems. The judges became on par or at par with some unprofessional lawyers? 4. In the State of x i take judicial notice of the fact that Fridays and Saturdays are weekly public holidays. ‘the day before the weekly holiday’. But I agree with the appellant that the 7th (last) day of the 7-day period falls on Tuesday x. According to Labour Laws, those are not "Public Hols". Those days are merely "OFFDAY/RESTDAY" for some sectors of public services. The Honorable Judge is redefining Labour Laws? Even on restdays as been defined by the respective public and private services, banks are open, so does JPN, Immigration. Immigration courts. post offices and many many others..!! So, what is "weekly public hols" as defined by this CoJ..?? Are Friday and Saturdays gazetted Public Holidays at her state of Domicile? Does Marriages conducted on Public Hols considered Null & Void..?? There is no doubt it was a very cleverly written piece " Grounds of Judgement ". Very few Judges would take such initiative to do so. Some would just quote " Authorities " as shortcut without further proper explanation. But then there are still some contentious issues within. Now it is upon the Palace of Justice to contemplate and deal with with these issues. 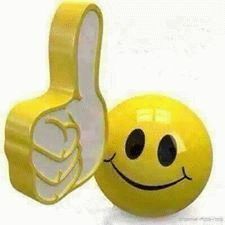 You have Gotten the "LIKE" emoticon..!! Where and when is my Teh Tarik? At the Palace of Justice cafeteria? After reading this Grounds of Judgement, i must admit that it was better quality than i had expected. Some Grounds of Judgement i encountered before was so bad, you might even think that it was written by the Personal Assistant ( PA ) instead of the Judge. 1. The Commissioner of Justice (COJ) had wrongly referred to the wrong Extending Court Order. She referred to the Court Order that extended the Creditor's Petition instead of the Court Order that extended the Notice of Bankruptcy. This is probably an honest mistake which did not carry any material changes in her grounds. 2. The Commissioner of Justice (COJ) provided her own calculation of the expiry of the Notice of Bankruptcy and although her method of calculation was slightly different, she herself conceded that the Notice was expired upon service no matter which way you looked at it. This is a very important point because Affin Bank's counsel had always maintained in all pleadings and all submissions that the Notice was not expired, even though they did not offer a better method of calculation of the dates. this is where she fell into error ( in my opinion ). kunta_kinta was aware of the bankruptcy notice before the effective serving date in the pleadings. The COJ was wrong to assume that kunta_kinta was aware of the bankruptcy notice, when the burden of proof lies with the Judgement Creditor to allege and prove. cannot be applied in this case. So finally, the big question on whether kunta_kinti will win this upcoming appeal at the Court Of Appeals Putrajaya, i will leave it to all forumers here to ponder upon. Avengers Malaysia are placing all bets on the table. I put 2 buckets of KFC on the food table. The whole LOT of us can finish la..
We r Hungry for Justice..
For the facts that the Kunta_Kinti was served with an expired BN means he did not commit the act of bancruptcy. Kunta_Kinti appeal should be allowed.